Sweden's Candlemass helped reintroduce the lumbering power chords of Black Sabbath to an entire generation of post-New Wave of British Heavy Metal and post-thrash metalheads, almost single-handedly writing the handbook for the modern doom metal movement in the process. Emerging in 1986 with the landmark Epicus Doomicus Metallicus -- the LP helped coin the genre -- the band issued four more influential albums before ceasing operations in 1994. They reunited three years later and released Dactylis Glomerata, which saw them adopt a more avant-garde approach, but called it quits again shortly thereafter. They officially re-formed in 2004 and remained at the vanguard of the doom metal scene, issuing a string of acclaimed albums including Candlemass (2005), Psalms for the Dead (2012), and The Door to Doom (2019). After the breakup of his first band, Nemesis, in 1985, bassist Leif Edling founded Candlemass with vocalist Johan Lanquist, guitarist Mats Bjorkman, and drummer Matz Ekstroem. Their watershed debut, Epicus Doomicus Metallicus, was released the following year, and though it immediately secured their standing within metal circles, it was only with the arrival of new vocalist Messiah Marcolin for 1987's Nightfall that the band found its true voice -- quite literally -- as the singer's vibrato-laden operatic tone remains completely original to this day. The album, which also saw the arrival of lead guitarist Lars Johansson and new drummer Jan Lindh, combined massive riffs and dark melodies into songs of epic proportions, which were made even more dramatic by Marcolin's religious lyrics and monk's habit stage costume. Candlemass repeated this formula on ensuing albums Ancient Dreams (1988) and Tales of Creation (1989), each of which also saw a noticeable improvement in the production department. The appropriately titled Live closed the golden era of their career with Marcolin departing to form his own band, Memento Mori. Singer Tomas Vikstrom was drafted as his replacement for 1992's Chapter VI (featuring a more conventional metal sound), but the band's popularity was in swift decline and Edling decided to disband soon thereafter. He formed a new group with decidedly Euro-metal leanings called Abstrakt Algebra in 1994, but after only two albums, he decided to resurrect Candlemass once again. The avant-garde metal of 1998's Dactylis Glomerata bore little resemblance to Candlemass' doom metal past, featuring Edling along with vocalist Björn Fklodkvist, guitarist Mike Amott, keyboard player Carl Westholm, and drummer Jejo Perkovic. 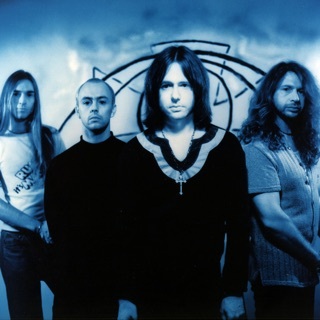 Further lineup changes would occur, with guitarist Mats Stahl replacing Amott prior to the release of 1999's From the 13th Sun, after which the group would endure another long hiatus.